Rosita has been an active lead clinician in the beauty industry for more than 25 years. Her extended range of specialities including acne treatment, consultations, Genesis, SkinTight with Ultrasound, RF needling, special facial peels, and all our lasers treatments (Cutera lasers, Ultraformer III, and more). For me, working in cosmetic/ skin rejuvenating industry is something I am still incredibly passionate about, even after 25 years of experience. I have always been committed to my clientele and their personal goals are something I ensure I follow up beyond formal appointments, as everyone’s journey and experience is important to me. 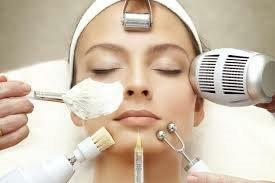 I have experience with various skin resurfacing machines and techniques aimed at rejuvenating, refreshing and firming the skin. The results and comments I receive from satisfied clients speak for themselves. I look forward to beginning and continuing a journey with you and promise my utmost devotion to achieving your skin and cosmetic goals. Alla Biller is an aesthetician with many years of experience. She has been a part of the team since the opening of the clinic in 2005. Alla specializes in laser procedures, facials and skin needling. 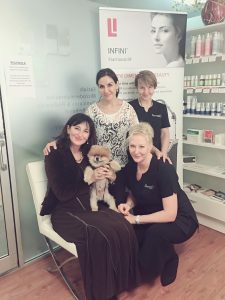 Ulla Saynajaaho is a cosmetic therapist with 17 years in cosmetic field and broad experience in laser procedures, chemical peels, skin needling and general cosmetic procedures. She has a special interest in cosmetic products and is a promoter of strong, non-irritant , organic cosmoceuticals. The Dentist at 70 Pitt Street is our complementary in achieving “a healthy and beautiful smile”.